Meizu may unviel their new 15 series smartphone in China as a poster has been out by company.The company may introduce Meizu 15 series as Meizu 15,15 plus and 15 lite. 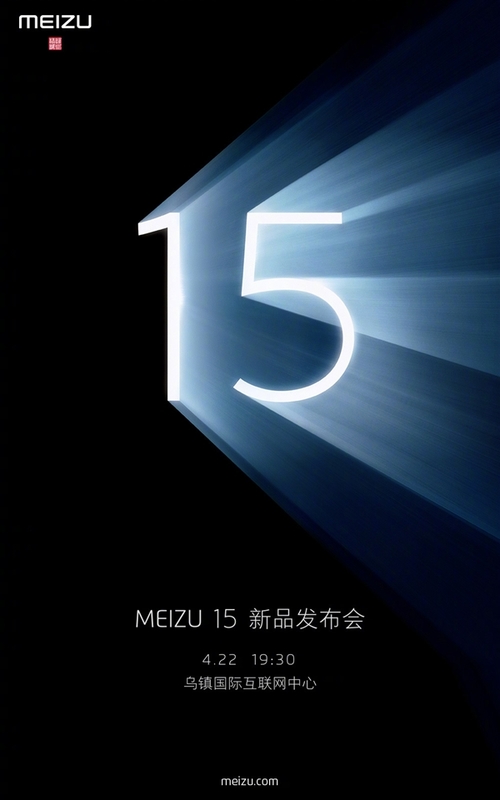 According to poster,an invitation is given for 22nd April 19:30 hrs.The company also shows the no 15 in big letters,so it confirms that the device will be 15 series of Meizu. The handsets may have 5.5 inch display with fullview screen resolution.It would sports dual camera setup on rear with LED flash and single sensor on front.For security,it would equipped with fingerprint scanning system also.